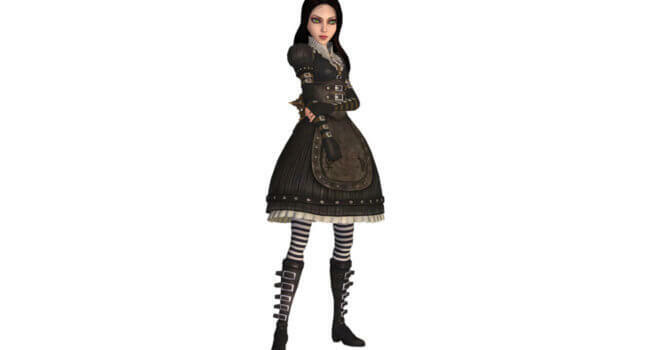 Steamdress Alice is from Alice in Wonderland Madness Returns. The Steamdress is the first domain dress that’s based on the steampunk and mechanical appearance of the Hatter’s Domain. It features a neck-frill like collar, a Waspie waist cincher with a harness attached and leather, buckled fingerless gloves.